For my birthday I got some Lakeland vouchers, so yesterday we set off to Bromley to see what was on offer. We came back with a new 23cm French skillet to replace our old one which is having trouble staying attached to its handle. On a less practical note we also got a waffle maker — so no prizes for guessing what we’re having for breakfast: waffles, bacon & maple syrup! (*) having re-read the recipe it actually says 1 tbsp baking powder… which seems like a huge amount! 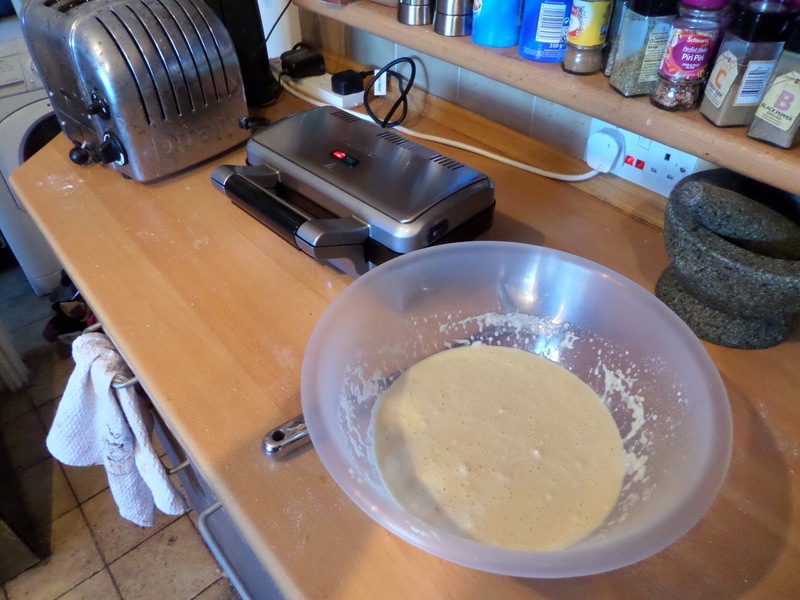 Anyway… eggs, milk & oil get whisked together in a medium bowl, the dry ingredients get whisked together in a large bowl, then the wet gets added to the dry and mixed until just combined and still lumpy., and then sits while the waffle maker heats up. 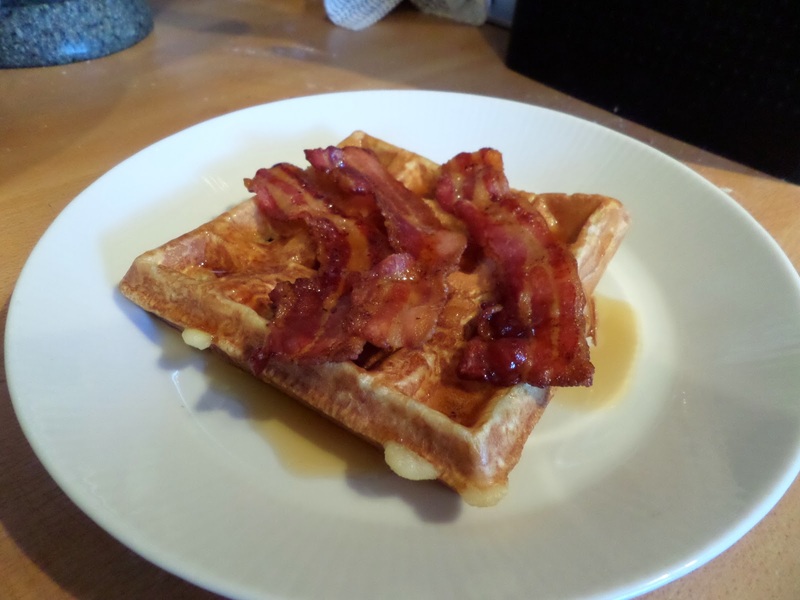 The bacon is the streaky type, for authentic american waffles. It goes in a cold non-stick frying pan, and then a low heat is turned on. 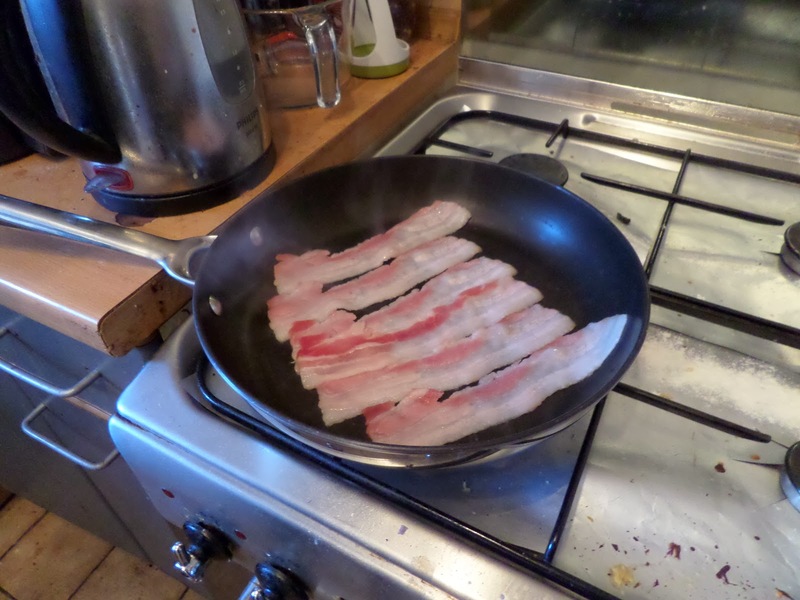 We do this so the fat renders out as the pan heats up, rather than putting in a hot pan and the fat staying in the bacon. Once the waffle maker is up to temperature a ladle of mixture goes in each side, and then it cooks for 4 minutes. Then all that’s left it to plate up and cover in way too much maple syrup: mmm…. I love waffles but I’ve never made any. 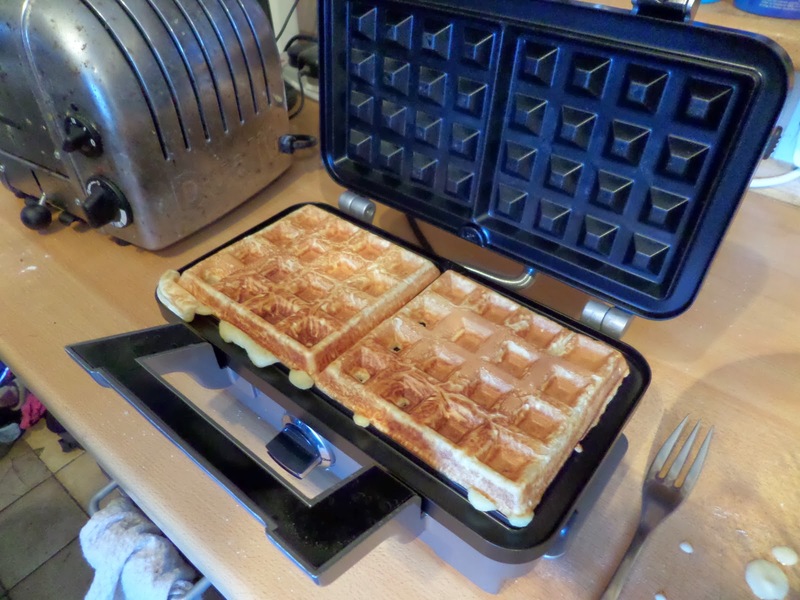 Many years ago I had a waffle iron, to make single waffles but it wasn’t very successful as the mixture wouldn’t stay on the iron, so I’ve been buying waffles from Aldi-Lidl.